Today brings sad news: the death of Mal Browne, a real original and a great journalist. 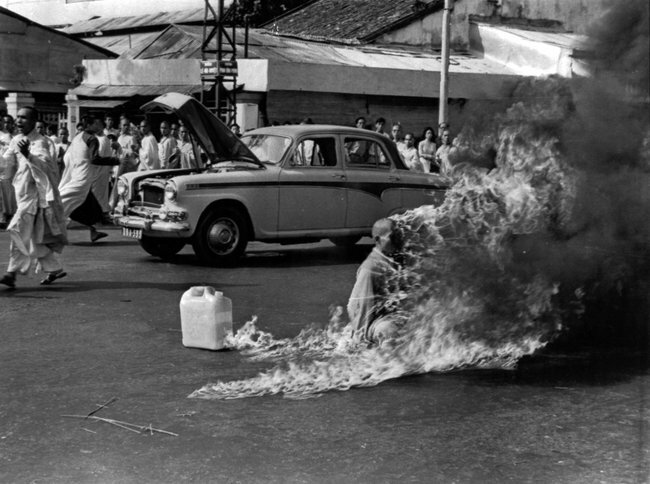 Probably best known for his famous photograph of a Buddhist monk burning himself to death in protest against the government in South Vietnam, Browne was also a terrific reporter and writer. Also not to be missed is Browne’s memoir, Muddy Boots and Red Socks: A War Reporter’s Life. Browne also has some really worthwhile insights in this terrific PBS video. You can also read about Browne in these excerpts from my book, Covering America. 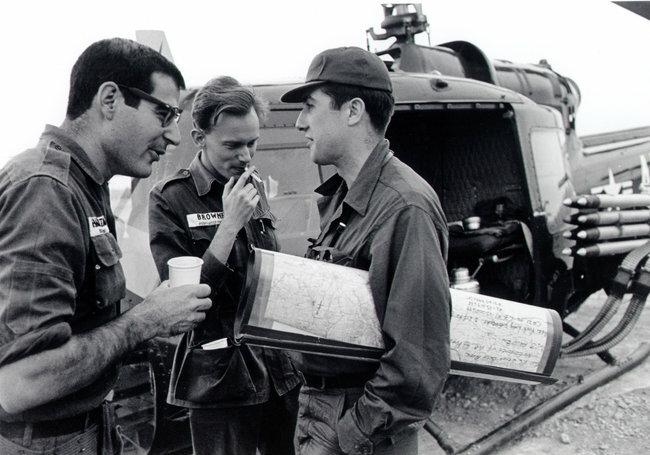 In the early 1960s Halberstam was the only full-time reporter working in Vietnam for a U.S. newspaper, and since that paper was the Times, he was destined to become the most visible journalist in the country. But Halberstam was not the only American correspondent based in Saigon. There was a small contingent of other journalists, who were followed later by hundreds of reporters, photographers, television cameramen, producers, columnists, feature writers, spies, adventurers, and poseurs, along with brigades of military “public information officers” whose mission was the care and feeding of the vast and hungry press corps. But all that was still far off. In the early 1960s the Saigon press corps could have easily fit into one helicopter. They had a lot in common, this band of friendly rivals; as was typical of the era, they were all white and all male, and no one spoke Vietnamese. Among the news agencies with a presence in Vietnam, two of the most important, because of the enormous size of their audiences, were the U.S.-based wire services the Associated Press and United Press International. The AP bureau was led by Malcolm Browne, who was raised a Quaker and began a career as a chemist but then was drafted into the army in 1956 and ended up driving tanks in Korea. He came home and worked for several newspapers in the States (including the Record in Middletown, New York, where he briefly worked alongside a young reporter named Hunter S. Thompson) before joining the AP and getting his wish—to become a foreign correspondent—in his early thirties. Tall, thin, and pensive, Browne might have been mistaken for a professor if not for his wide array of sources and the bright red socks he always wore. He shared a cramped office with Horst Faas, AP’s Saigon photo editor (who insisted that all AP reporters in the country carry cameras, just in case), and a young AP reporter from New Zealand, Peter Arnett. Fearless and relentless, Arnett became a legend in Vietnam. “He stayed longer, took more chances, and wrote more words read by more people than any war correspondent in any war in history,” notes one observer.9 At UPI, the AP’s major competitor, the bureau consisted of a single correspondent, Neil Sheehan, who had worked his way out of the old factory town of Holyoke, Massachusetts, and into Harvard, graduating three years after Halberstam. He then joined the army, went to Korea, and worked at Stars and Stripes before joining UPI. Like his rival Browne at AP, Sheehan was young and hungry. Nobody had ever heard of either reporter in 1962, but they would before it was all over. . .
As these correspondents went about their reporting in the early 1960s, they were on a fairly long leash. Given the state of communications, they were often hard to reach, so if their editors in New York had some brilliant idea, they might as well forget it, because by the time it arrived in Saigon, the reporter would probably be off somewhere else covering the action. Reporters thus had the happy burden of making up their own assignments. They also had pretty much the run of South Vietnam and could almost always get to the scene of any action. Sometimes the war would take place right in front of them, even in the middle of Saigon. In a guerrilla war, reporters soon realized, the battle was everywhere and nowhere. There was certainly no “front line,” as there had been since time immemorial. When fighting did break out, the U.S. military usually obliged with transportation, putting reporters into any available space aboard jeeps, armored vehicles, helicopters, ships, and jets. At other times, reporters could hire a car and driver or literally take a taxi to cover the news. On the whole, there was remarkably little censorship in Vietnam. Officially, there was no military censorship in the traditional sense, although the United States did issue “guidelines” to all correspondents that covered the basics. To be sure, first Kennedy then Lyndon Johnson tried to have individual reporters fired, and they counted on the South Vietnamese government to expel any real trouble-makers. Especially in the early years, the Diem regime made life miserable for correspondents, particularly if their reporting was critical of Diem’s government. But the fact was that the United States, as a guest in an undeclared war, fighting for freedom against totalitarian communism, was in a bind and could not impose official censorship. As a result, the Pentagon brass and officials in the Kennedy and Johnson administrations felt the need to try to sell the war, using the techniques of public relations and news management. One approach involved the selective withholding of information. Until 1967, for example, American officials did not provide a total count of U.S. troops killed and missing. At the same time, officials made a great effort to encourage reporters, especially in the early years, to “get on the team,” as generations of journalists had done in previous wars. They also borrowed techniques from public relations to try to convey the message that the United States was winning and the enemy was losing. Halberstam, for one, had seen enough of the war firsthand so that he was not buying what they were selling. Neither were most of the other young resident correspondents. Stories revealing the conflict between the military and the press abound. To take one notorious case, in December 1961 the U.S. aircraft carrier Core docked at the foot of Tu Do Street in Saigon, towering over the nearby buildings. Plainly visible on the deck were dozens of olive drab Sikorsky H-21 helicopters. Mal Browne was among a half-dozen reporters who wanted to know what was going on, since the United States was officially only advising South Vietnam, not arming it. The reporters went to the U.S. Information Service office and asked the director about the massive ship. VC spies, of course, managed to see the ship and even record the serial numbers of the aircraft as they were unloaded. . . .As the reporters in the Saigon press corps could see, the strategy was not working. More evidence came in 1963 in a series of events known as “the Buddhist crisis.” The crisis began in May, when Diem traveled to Hue to celebrate the twenty-fifth anniversary of his brother’s elevation to the Catholic hierarchy. For the occasion, the streets of Hue were festooned with flags, both the Vietnamese national flag and the Vatican flag. The problem was that a majority of Vietnam’s people (70 to 80 percent) were Buddhists. A few days later the Buddhists of Hue were celebrating the 2,587th birthday of the Buddha, and they wanted to fly their own flag. When the Diem government said no, the Buddhists took to the streets. Someone threw a grenade, and the conflict rapidly escalated. Monks began to venture out from their pagodas, and they quickly spread the protests to Saigon and other cities. The Diem regime embarked on a series of clumsy crackdowns, which only made matters worse. Halberstam pounced on the story and pushed it onto the front page of the New York Times. On June 11, 1963, the Buddhist monks of Vietnam took center stage. For weeks as the crisis built, the AP’s Mal Browne had been filing stories, and he had spent a lot of time in pagodas, interviewing monks and getting a good understanding of their cause. On the night of June 10 Browne got a call from a contact among the monks, telling him there would be an important development the next morning at a small Saigon pagoda. Several Western correspondents got the same tip, but only a few showed up, including Browne and, later, Halberstam. Only Browne, under the AP photo policy, was carrying a camera. After a while, a seventy- three-year-old Buddhist monk, Thich Quang Duc, went to a busy Saigon intersection and sat down in the lotus position, ringed by hundreds of other monks. Several monks doused him with gasoline, then he struck a match. As the flames rose, the monk never flinched. Browne kept working. “Numb with shock,” Browne later recalled, “I shot roll after roll of film, focusing and adjusting exposures mechanically and unconsciously, almost as an athlete chews gum to relieve stress. Trying hard not to perceive what I was witnessing I found myself thinking: ‘The sun is bright and the subject is self-illuminated, so f16 at 125th of a second should be right.’ But I couldn’t close out the smell.” Browne probably could not have intervened once the match was lit, even if he had been prepared. The hundreds of monks would have stopped him. This incident, like much else that correspondents saw in Vietnam, dramatizes a problem that might be called the Journalist’s Dilemma. For obvious reasons, journalists often witness tragedies and catastrophes. In the course of reporting or shooting photos, they are sometimes confronted by an apparent conflict between continuing to work or stopping to render assistance. Should the journalist step out of the traditional role of observing news and try to help? If the journalist intervenes to prevent a tragedy or to offer aid and comfort to victims, does he or she thus enter the story as a historical actor and give up any claim to practicing journalism (and along with it, perhaps, any First Amendment rights)? Close examination of many cases reveals that the Journalist’s Dilemma is often an illusion. In most instances, the action unfolds so quickly that there is no time for decision making, while in others, the journalist is in fact able to observe the news, record it, and still rise to at least a basic level of humanitarian action. Still, it is in the nature of a dilemma to have no ultimate solution. While Kennedy pondered his relations with Diem and the Buddhists expanded their campaign against the government, Browne and Halberstam and the rest of the reporters in Saigon pressed on. . .